Hello! Just wanted to say thank you so much for sending the hooks so quickly! They are up already and look amazing. Have ordered from you before and will order again whenever, and as much as I possibly can! Im always so impressed by both the service and the products! I just wanted to say thank you for being so efficient, the DPD service and notification, combined with your updates, was very helpful. The hinges, latches and hooks look great and very much looking forward to putting them all on! I have just received my 'Bee' door knocker and I am thrilled with the quality and gorgeousness of it!!!! Thank you so very much and well done. Please find attached pic of our front door, complete with the lovely items from your shop! Rather a dark wood to show off the black, but we think it looks very smart! And the Inner Tidy is just fine... no complaints from the postman! Many thanks for arranging this so quickly Rachel. No.7 received yesterday. Very happy with everything I bought. Recommended your store to 3 people already! 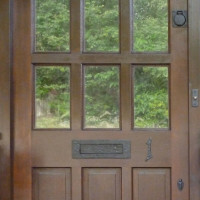 The Door Knocker Company is taking customers back to a bygone era, but in a convenient way, by offering a new range of wrought iron-ware made exclusively for the company by a local blacksmith. It works and how splendid it looks. Thanks for all your help and considerable customer care. The satin chrome is available as an alternative to the polished chrome and on this door in London looks absolutely fantastic. The Door Knocker Company team. I just wanted to say a huge thank you for the dragonfly door knocker. It arrived this week and my boyfriend has said it's fab. I've not seen it yet as I've been out of the country for work but I can't wait! Thank you again, I really appreciate your help in me getting this and can't wait to see it! Many thanks I received my Hermes door knocker today and couldn't be happier, it is exactly what I expected and more. The price was perfect and delivery was extremely quick. I am one satisfied customer and will have no hesitation recommending The Door Knocker Company to friends. Just to let you know they were delivered first thing this morning . Great service thank you! Items received this morning (wed). Thank you for the excellent service. Hooks arrived and now up! Very pleased. Would just like to thankyou personally for taking the time to have a look and find one I really really appreciate it my aunt is so pleased she hasn't had a good time lately....... so anything no matter how small it is brings her a bit of happiness. a big thank you for being so efficient and prompt with your service. 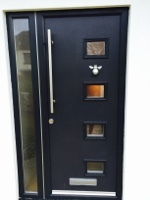 We cannot wait for the new door to arrive to be fitted with the knocker. The parcel have arrived, and the owl is beautiful! Thank you very much for your exceptional service! Thank you so much for the care you have taken over my order. It arrived earlier today and we are very, very pleased with the items. Michael. Preston 22nd August 2013. Just wanted to say a big thankyou for your help and advice with the door knocker and accessories. We are very pleased with all the other products and sure to buy from you again. Many thanks for such prompt delivery. Delighted with the knockers. Thank you so much. All has arrived safely and is just lovely. This iron hand door knocker arrived this morning - fantastic service - thank you! It has taken me a long time but your lovely door knockers are now fitted. Thanks. They are wonderful and just what we wanted. This is just to thank you for such prompt efficient service. All in all, 7 days from placing my order to delivery here in Canada. I don't think I would have done as well ordering something here. And the knocker is exactly as advertised, fine quality - just what I wanted. I just wanted to say A BIG THANK YOU for the super fast delivery of the door knocker. It arrived this morning (Saturday) and was put in place 10 mins after it arrived and YES it does have a load sound which is just what I wanted, thank you so much!!!!!!!!!! I just wanted to write and let you know I am very pleased with the sundial! It is exactly as described and pictured on your website. I received it in a reasonable amount of time and appreciate the updates on the status of shipping. Thanks you so much again. My Bee has arrived ! Many thanks - excellent service. Just about to screw him to the door ! Hi there, I have received the door knocker and it looks great. Thanks for quick service. Barbara. East Renfrewshire. thank you for the fast, effecient service. The new handle arrived the next morning following my phone call. Really impressed. Many thanks for the prompt delivery of my order. At last the kitchen door will stay shut! special thanks to the lady who responded to my request for the screws to fit these which were exactly what I wanted. Will most certainly use you again and refer you to my colleagues. Many thanks for delivering my recent order for the above items so promptly. this order was delivered before lunchtime the day after you posted it. What fantastic service. Just to say thank you for your brilliant efficiency with my order, below, which arrived this morning and is being fitted as I write! The hooks and bracket were received safely yesterday & are now in use. We have received all of the order and are really very happy with it all. We have decided to use the large door pull and will try the smaller one on the inside if it isn't right I will phone you about returning if that is ok. It is all really wonderful and we are so very happy to have found your website. shipment of finger plates recd today...ab fab or what?! 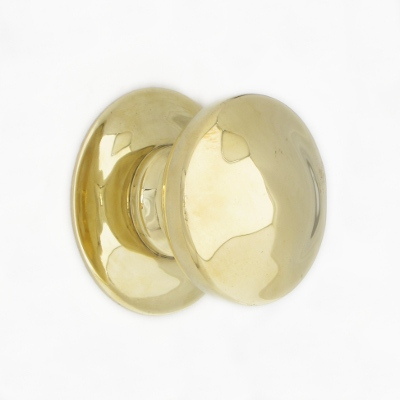 We are very pleased with the quality and style of the key escutcheons. Many thanks for the great service. All items received today and we are absolutely delighted with the quality of same. Thank you for sending the door knocker so promptly. It has arrived in time for my friend to install it. Hello, a note to say how very pleased I am at receiving my order of Saturday, last. The goods are lovely, one is a gift ,which my daughter WENDY, will be thrilled with. I hope you're well. I've been meaning to drop you a note for ages, just to say how completely delighted I am with the mammoth key hook board. It looks absolutely amazing and exactly right in the old pantry of the old vicarage I have it in. I know you thought it was a shame to paint over the beautiful old piece of wood you'd found, but the wood now has a couple of hairline splits in it where the paint has cracked, and it looks as though it's been there since the house was built, which is exactly what I wanted. We love our owl door knocker. After refinishing and painting our front door, my husband charged me with finding a fitting knocker. My 9 year old daughter and I decided a brass owl would be perfect; a mother owl made a nest at the top of our chimney last spring. We hear her hooting (and her babies tweeting) all the time. The owl knocker you sent us looks just like our own owls. It was an awesome addition to our house. Thank you. I received our Flower Centre Door Pull today, and am very impressed with your product and prompt professional service. I would like to inform you that yesterday (11th, May) I received the brackets. They are great. Just returned from holiday on Monday night and have received the drawer handles. They are just as described and I am very happy with them. Thank you! I wish to pay compliment to your outstanding service. I placed an order for a door Knocker just yesterday; to my amazement, this morning, less than 24 hours later I received delivery of same. I am absolutely delighted. I also must add that the product is excellent, even better than expected. The product was also excellent; its to fit on a pine door in a 200 year old cottage and it will look brilliant. Good price too! The three 'large cast iron Victorian scroll leave brackets', exactly as ordered, have arrived this morning. Thank you very much for the excellent and quick service, much appreciated. They are stunningly beautiful, we are enormously pleased. Just to let you know that the brackets arrived safely today and that they are very beautiful! Just a quick email to confirm that my owl door knocker has arrived - it is absolutely gorgeous and my colleagues at work have been admiring it! Just a quick note to thank you for your order, I was very impressed with the product, they look fantastic on the doors.... just added that finishing touch. In this day and age of cheap gimmicky rubbish, it is nice to find a great original and simple item, at a very reasonable price..
Hi Just to say ,we got the knocker delivery just in time to allow the carpenter to fit it. So many thanks for such a speedy service ! Also the knocker looks wonderfully authentic on our narrow Victorian door.. Thank you for your speedy and efficient service. The door knocker arrived first thing this morning and is just what I wanted. My husband is deaf and can no longer hear our bell, I am sure the sound of this very solid knocker would wake the dead! Just to let you know that the brackets arrived yesterday, they're just what we wanted. Many thanks for the door knocker - it looks great on our front door!! The door knocker has arrived safe, sound and very speedily. Many thanks for such a great service and it is just what I wanted. Delighted to receive BEE doorknocker so swiftly. Will tell everybody how marvellous you are. My hooks arrived today and I am really pleased with them. I also need some new brass door handles for my sitting room. Do you do these as well? Excellent service. Many thanks. M Low. Many thanks for the speedy delivery of my letter plate & door knocker that arrived as promised this morning. They are exactly as described and I can't wait to see them in situ. They will be a wonderful addition to my new front door. Thank you so much Rachel. I really appreciate your kindness. We have recieved the door knocker, it is just perfect. Thank you so much for your prompt action. I will be in touch just as soon as we are ready for the last fixing, and need more hardware.